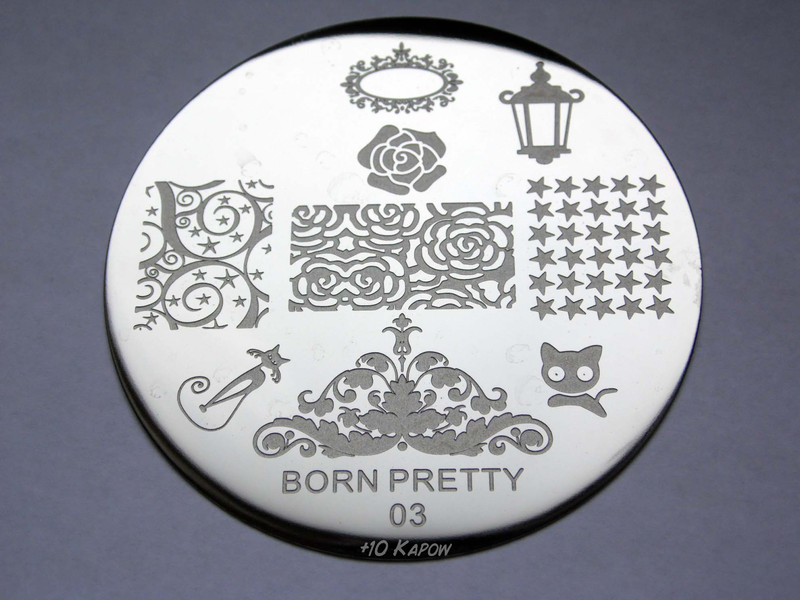 This is the 2nd of the 4 Born Pretty Store plates that I was sent out and it seems another one that has had a bit of a redesign since mine was sent. From what I can tell on t'interwebs, most of the plates went through a similar transformation and it looks like it was to make the full nail designs slightly bigger to suit both short nails and long nails. This plate still has all the same images unlike the Sailor Moon plate, and I really like the kind of old school elegance of the images. I love the cabochon frame image at the top and I keep trying to come up with some nail art to use it in but I am drawing a blank. So for my mani today, I have used my second favourite image from the plate, the swirly swirls with tiny stars in between. 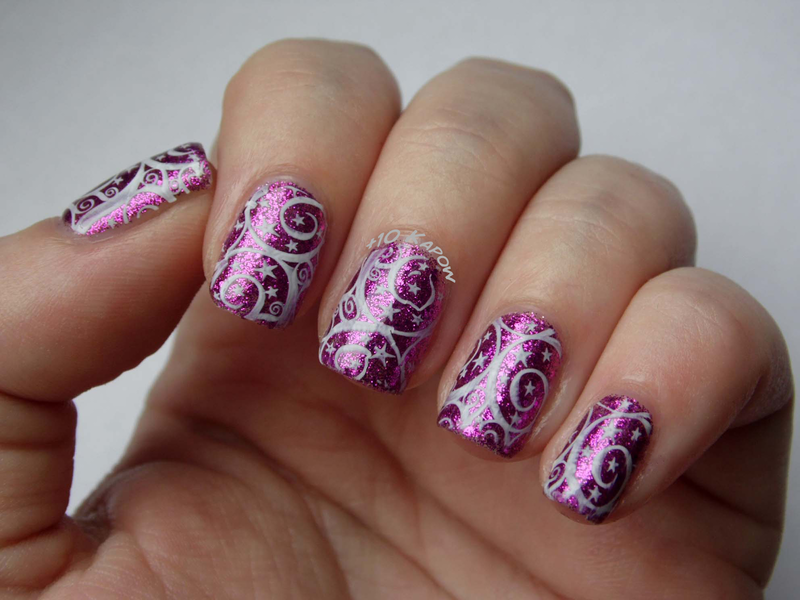 I used a base of Barry M Magenta Glitter and stamped using Konad White. As you can see, the images were picked up from the plate with no gaps or any bits missing. Just like the Sailor Moon plate, the image etchings are the right depth, with no imperfections and they stamp just as well as more expensive brand stamping plates. 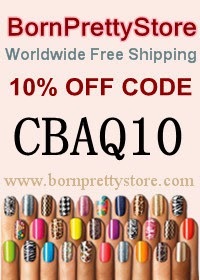 You can buy this plate here for £1.96 and don't forget that you can use my code CBAQ10 for 10% off your basket amount. The stamping plate in this post was sent to me for review purposes, All opinions expressed are my own honest opinion.